I hope your New Year is off to a great start! I am grateful for the opportunity to serve you in 2018, and will continue to deliver results for families in our district. I want to hear what is important to you in the New Year. Take a minute to complete this short survey and tell me what you want to see Congress tackle in 2018! I’m looking forward to building on last year’s enormous progress by focusing on priorities that will make South Carolina and America prosperous in 2018. Boeing is making $100 million in charitable donations, spending $100 million for workforce development and investing $100 million for infrastructure and facilities. American Airlines announced $1,000 bonuses for every employee, totaling $130 million. Southwest Airlines also announced $1,000 bonuses for their employees in addition to a $5 million charitable donation. BB&T is giving $1,200 bonuses to 27,000 employees, raising their base wage from $12 to $15 per hour and making $100 million in charitable donations. U.S. Bancorp is giving $1,000 bonuses to 60,000 employees and hiking base wages to $15 per hour on top of a $150 million charitable contribution. Smaller companies also have restored faith in our economy due to tax reform. Both Emkay Inc. and Ohnward Bancshares, with under 300 employees each, have announced $1,000 bonuses for all employees. The list of companies announcing these programs is growing every day, and these initiatives are just the beginning of the benefits you will see from tax reform. ? 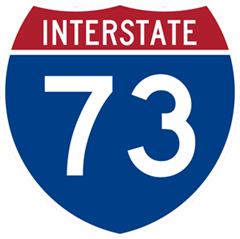 Construction of Interstate 73 is the most important infrastructure project in our state. The interstate will traverse Marlboro, Dillon, and Marion counties – some of the most impoverished in our state – and end in Horry County. It will make each of these counties and the surrounding areas more attractive to industry and bring thousands of much-needed jobs. Despite the wide reaching benefits of I-73, the Coastal Conservation League is attempting to delay its construction through a federal lawsuit. Studies show that construction of I-73 will bring an estimated 22,000 permanent jobs and 7,700 temporary jobs to South Carolina. Some 126 businesses are projected to be built around the area, pumping hundreds of millions of dollars into our local economy. Building I-73 would unleash the economic potential of these areas and offer convenience and safety to residents and visitors of the Grand Strand and Pee Dee. From the beginning of this project, agencies and stakeholders at the local, state, and federal level have actively worked to ensure the interstate travels along the least environmentally impactful route. Over 6,000 acres of wetlands - costing over $18 million - along the Pee Dee River have been set aside. Unfortunately, the lawsuit brought forth by the Coastal Conservation League is an example of yet another obstructionist initiative that is ignoring the public good. Building I-73 is my number one infrastructure priority, and I will do whatever it takes to move this critical project forward. Thank you to first responders and other personnel who helped keep our community safe during the snowstorm this week. I hope you all were able to enjoy some perks of the snow! Photo courtesy of WPDE ABC 15. 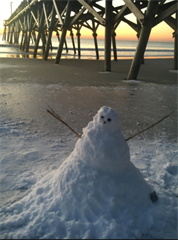 Be sure to stay up to date on potential road closures and winter weather safety tips with resources provided by the South Carolina Department of Public Safety.